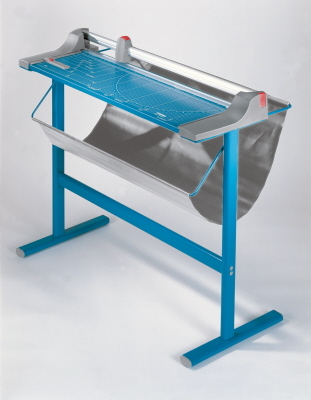 Dahle Large Format Rotary Paper Trimmers - are designed for safety and accuracy, the cutting blades are encased in a plastic housing that virtually eliminates the chance of personal injury. The rotary action of these trimmers allow the blade to cut in either direction and sharpen itself as it cuts. It’s this self sharpening action that produces a clean burr-free cut and guarantees many years of smooth precise cutting. Dahle’s professional series of large format rotary paper trimmers are designed for heavy duty applications where precision is essential. Most models in this series have a cutting capacity of up to 14 sheets of paper at a time and are perfect for cutting paper, trimming photographs, and large format printing. Dahle’s Premium Rolling Trimmers are designed for heavy duty applications. Whether you are cutting mat board or a single sheet of paper, you can expect to receive the same burr free cut each and every time. 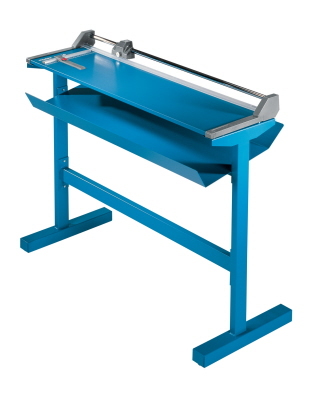 Most models in this series have a cutting capacity of up to 20 sheets of paper at a time and are perfect for trimming large format applications of press sheets, photo paper, and mat board. Available models are: Dahle 446 S, 448 S, 556 S,and 558 S - All models come with floor stand. 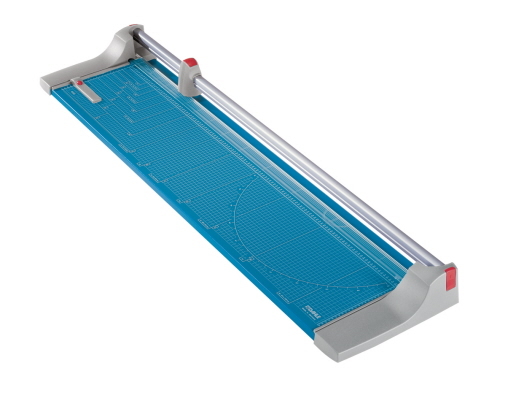 Dahle 556s Large Format Professional Rolling Trimmer is a complete packaged unit which includes the floor stand. The trimmer itself sits on top of a full metal base stand, which includes a catch tray for waste material. 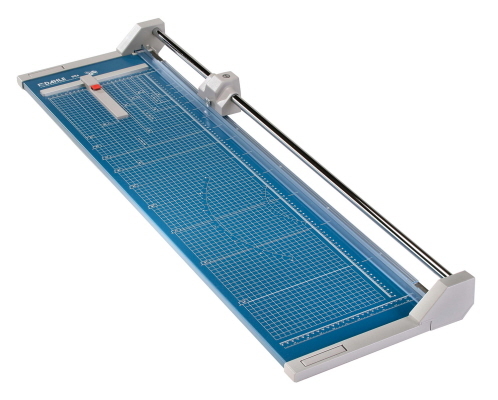 Dahle Professional Rotary / Rolling trimmers allow you to work in either direction to cut. 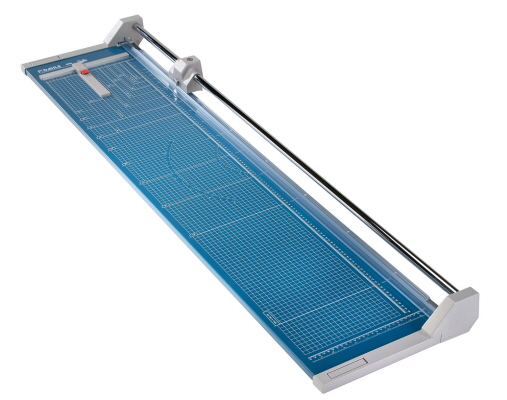 Dahle 558s Large Format Professional Rolling Paper Trimmers are designed for safety and accuracy. The cutting blades are encased in a plastic housing that virtually eliminates the chance of personal injury. Performance is something that you can expect from all products OREweb.ca® offers. We ourselves have very high standards when selecting the products we sell. 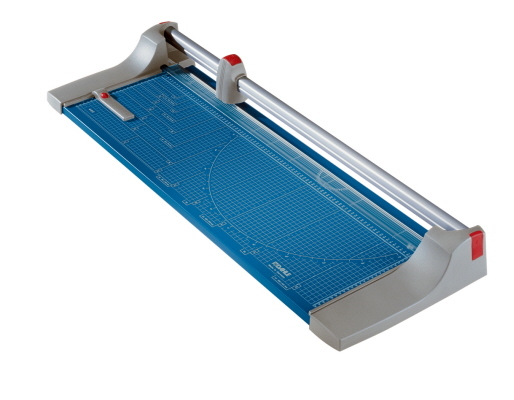 Dahle 446s Large Format Premium Rotary / Rolling Paper Trimmers provide engineering / drafting firms, city planners graphics and print design houses with one of the best cutting solutions on the market. With a generous 22 sheet cut and 36 1/4" trim width, this model provides higher standard capacity than other comparable models. 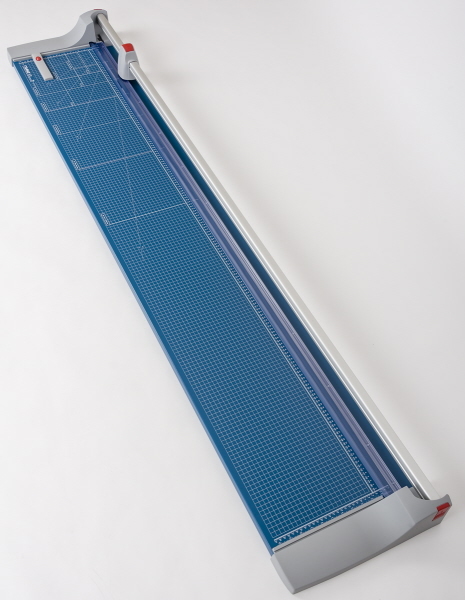 Dahle 448s Large Format Paper Trimmer boasts one of the widest cutting widths in the industry. Whether your cutting posters, draft drawings, city planning drafts, or other visual printed matter - this unit will provide a quick precise cut. Dahle trimmer reviews rate all models in the line as one of the best solutions on the market. Even after cutting 50,000 sheets, the self-sharpening blade continues performing.